The park will be in competition with Disney which has already started to build its own multi-billion theme park in Shanghai. DREAMWORKS ANIMATION HAS announced today that it plans to build a $3.2 billion (€2.5 billion) theme park in Shanghai, as the US film giant seeks to bolster its presence in the booming Chinese entertainment market. 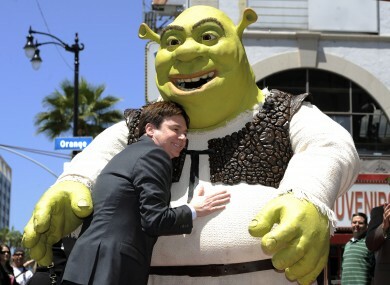 The studio’s newly formed China joint venture, Oriental DreamWorks, is set to open the theme park in 2016, the creator of megahits like “Shrek” and “Kung Fu Panda” said in a statement. The 20 billion yuan project – called the Dream Center – will comprise entertainment facilities, animation exhibitions and commercial developments including hotels and shopping areas in Shanghai’s Xuhui district, it said. The announcement comes after Walt Disney, another US entertainment giant, last year broke ground on a planned $3.7 billion theme park in Shanghai which is scheduled to open in 2015. DreamWorks in February said it planned a $330 million (€266 million) joint venture company with three Chinese partners – China Media Capital, Shanghai Media Group and Shanghai Alliance Investment. Tuesday’s statement posted on DreamWork’s website said it had formally established the joint venture with the partners, all state-backed Chinese firms which together hold a majority 55 percent stake in the venture. The company will make the next “Kung Fu Panda” movie, the third instalment in the series, in China as a co-production for release in 2016, the statement said. It plans to release up to three major films a year with its first feature-length animated film scheduled for global release in 2017, it said. The huge commitment in local production comes even though Beijing maintains strict quotas which limit the number of foreign movies allowed into China. Imports of foreign films into China on a revenue-sharing basis are currently limited to just 34 annually, though that was raised from 20 earlier this year. Disney said in April it had joined an initiative to develop Chinese animation productions. It will also co-produce Iron Man 3 in China with DMG Entertainment, as Hollywood seeks to tap into the fast-growing movie market. China’s box office grew an annual 35 per cent to $2.0 billion in 2011, making it the second largest international market behind Japan, according to the Motion Picture Association of America. Email “DreamWorks plans giant $3.2 billion China theme park”. Feedback on “DreamWorks plans giant $3.2 billion China theme park”.